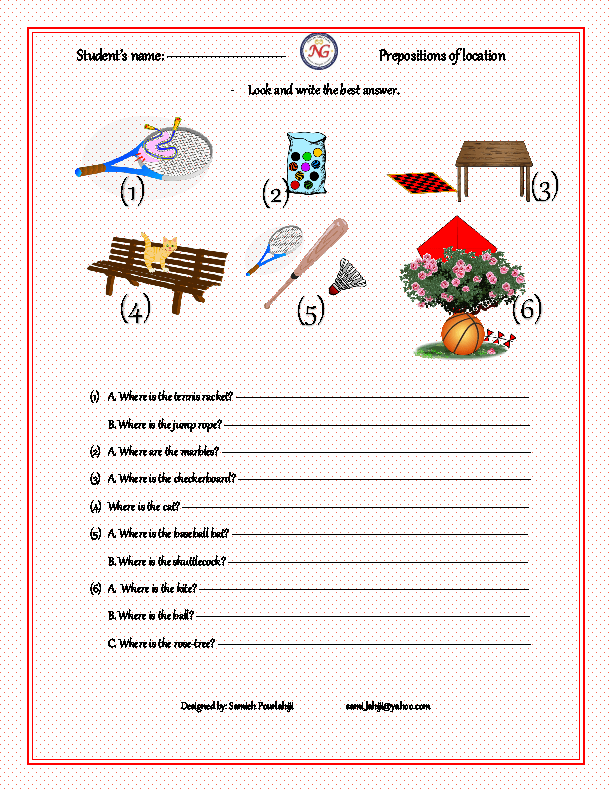 This is a worksheet for practicing prepositions of place ( in, on, under, behind, in front of and between). This worksheet is appropriate for young learners and elementary students. They're going to look at the picture and write the best answer for each.